This is taken by one of my dive buddies, Michelle from Canada. 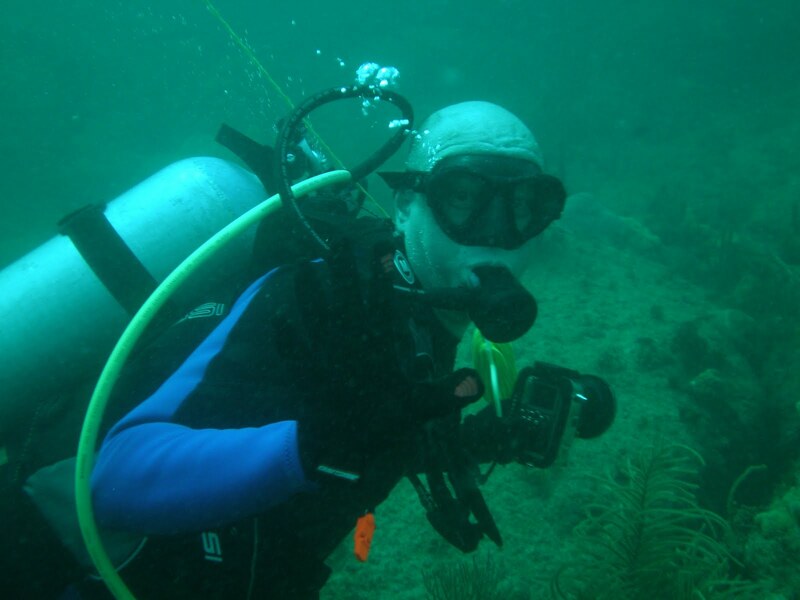 You can see me with my underwater videocamera and I am holding the dive flag rope. Oh, also you can see my Sears Craftsman Dive Gloves.